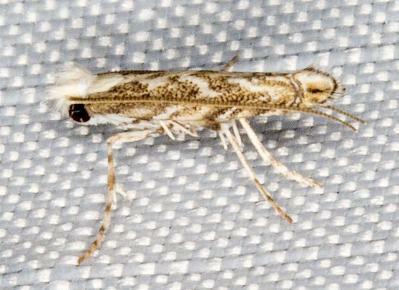 The adult moths have a fringe along the trailing edge of each wing. The forewings have a pattern of light and dark brown chevrons. The hindwings are a uniform dark brown. Its wingspan is about 1 cm. Species in the genus Epicephala are all symbionts with PHYLLANTHACEAE. 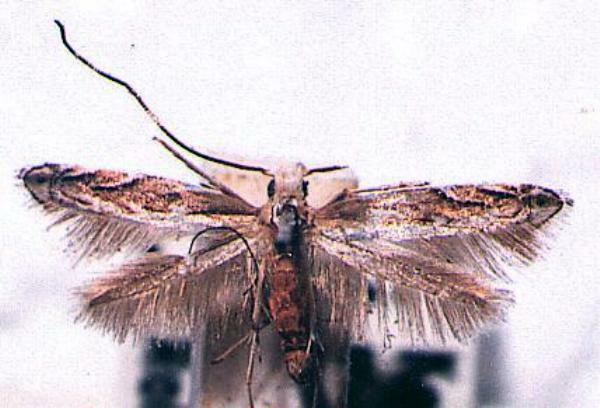 The adult moths pollinate the flowers, and the caterpillars feed on flowers and fruit. Volume 24 (1900), p. 21. Volume 7, Part 7 (27 July 2012), e41657.